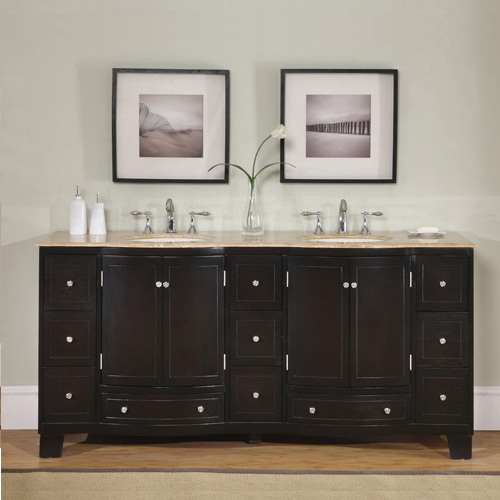 The Delia Double Bath Vanity features a beautiful espresso finish and a charming modern design. The Roman Vein-Cut Travertine counter top arrives pre-drilled for easy faucet installation. It also includes double under mount ivory sinks. For those who value storage and organization, this vanity features eleven drawers and two double door cabinets. Its transitional style is easy to match with different bathroom designs. Its good looks are indisputable, making it a great centerpiece for the master bathroom.